The Insolvency and Bankruptcy Code can lead to huge job losses in the short to medium term as many companies, including some big names, face liquidation. Deccan Chronicle Holdings, the Hyderabad-based newspaper publisher, is fighting for survival in the National Company Law Tribunal (NCLT). With debt of around Rs8,000 crore, the company has been dragged to the NCLT under the Insolvency and Bankruptcy Code (IBC) and is now waiting for a bidder to save it from liquidation. "We have to ensure that this company survives or else 40,000 jobs, direct and indirect, could be in jeopardy," says a source closely associated with the resolution process. Srei Group's Vision India Fund, the only bidder left, has agreed to pay Rs1,000 crore and acquire the company. A resolution would mean that Deccan Chronicle is acquired by another group or promoter as a going concern. The Insolvency and Bankruptcy Code, seen as a path-breaking reform, now poses a moral dilemma. While it has hastened the resolution process of many long pending corporate loan default cases, it has also led to a substantial number of companies getting liquidated in the absence of any takers for their business. This has, in turn, led to thousands of jobs coming under threat. Many experts and resolution professionals believe that the IBC, by freeing up lakhs of crores of money stuck in long-pending corporate default cases, would lead to cleaning up of the mess and revival of many industries in the long run, there is no denying that jobs are being lost in the short to medium term. Liquidation remains a big threat to companies going through insolvency proceedings. 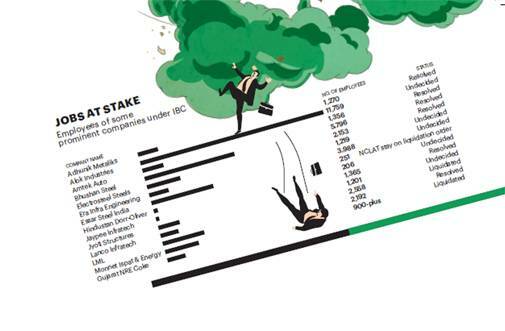 Of the 968 cases of corporate default admitted by the NCLT for resolution under the IBC, close to 40 have been resolved and 156 have gone into liquidation. While many liquidated companies may not have been functioning, there are several instances of operational companies, with employees on rolls, getting liquidated. Alok Industries and Lanco Infratech are among the first lot of 12 companies, with over Rs5,000 crore loan dues, referred to NCLT by the banking regulator Reserve Bank of India (RBI). These companies now face the real risk of being liquidated after being unable to find a resolution within the threshold of 270 days. Alok Industries has 12,000 employees while Lanco Infratech has 1,200. Ajay Joshi, the resolution planner in the Alok Industries case, however, says that the case is still on in NCLT and liquidation may not be inevitable. Reliance Industries and JM Financial ARC have jointly bid for Alok Industries, and the committee of creditors (CoC) has approved the resolution plan by 72 per cent votes. However, the deal is far from done yet. The resolution plan, stipulating that lenders would have to take a hair cut of 83 per cent, has been slammed by bank employees association. In the Lanco Infratech case, the CoC is yet to take a call on the resolution plan presented by Tamil Nadu-based Thriveni Earthmovers. The sword of liquidation is hanging on several companies and many companies have already fallen prey to it despite being operational. Consider the example of Gujarat NRE Coke. The company owed about Rs5,000 crore to financial creditors and it voluntarily took the IBC route. During the resolution process, it did receive a bid from RARE Asset Reconstruction Company (ARC), which was rejected by the CoC. The employees and workers of the company then submitted a resolution plan which could not be discussed in the CoC as the time limit prescribed under IBC was over. Later, the NCLT ordered the company to be liquidated. However, keeping in mind the livelihood of 1,178 employees and their families, vendors, contractors and job workers - totalling around 10,000 - the NCLT asked the liquidator to sell the assets of the company as a going concern. Gujarat NRE Coke became the first company to be liquidated as a going concern (or as operating company). Chairman and Managing Director Arun Kumar Jagatramka told Business Today that he is now trying to revive the company through a scheme of arrangement under Section 230 of the Companies Act 2013. For the scheme to be successful, it required consent of 75 per cent creditors and shareholders. However, Jagatramka says that Jindal Steel and Power, which accounts for 0.5 per cent of total debt, threw a spanner in his plan to revive the company by getting a stay order at National Company Law Appellate Tribunal (NCLAT), the appellate tribunal. "The company had 1,100 employees before the liquidation order came, and now we have still over 900 employees working for the company, whose fate now hangs in balance," says Jagatramka. However, a positive from the Gujarat NRE Coke saga is that the law has been amended to allow the liquidator to sell a company as a going concern. Earlier, regulations allowed a liquidator to sell an asset on a standalone basis or sell a set of assets collectively or in parcels in a slump sale. In another such example, Hindustan Dorr Oliver, a subsidiary of IVRCL, and its associate company HDO Technologies, both functional companies, were sent for liquidation after the resolution plan was rejected by CoC. Over 100 direct employees working in the company now face a possible job loss. There is a ray of hope though - the company has got a stay order from NCLAT against the liquidation. Ashish Bhan, a partner at law firm Trilegal representing Hindustan Dorr Oliver in the NCLT, says, "We have contended in the NCLAT that we had given a resolution plan which was deliberated for 150 days. Majority lenders had given in-principle approval, so there is no question of liquidation." The NCLT has argued that liquidation proceedings were started against the two companies since there is no unconditional approval from majority lenders. Bhan says the idea of IBC is to revive the company and not liquidate it so that hundreds of jobs can be retained. The two companies together owe Rs1,000 crore to banks. 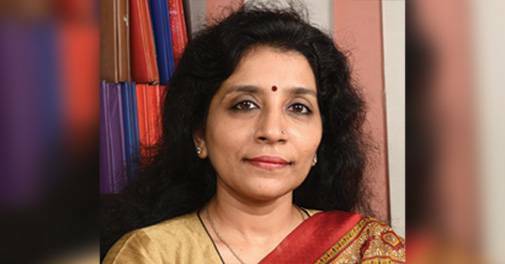 Mamta Binani, who oversaw the first resolution in the Synergies Dooray case under IBC, says the danger of job loss is huge if cases under IBC do not get resolved. Liquidation means instant loss of jobs. She cites the example of Stewarts & Lloyds of India, liquidated under IBC - Binani was the liquidator in the case. "With just a stroke of a pen, 48 jobs were lost. It was not an easy thing to do. There were days when these workers would come in groups and request me to save their jobs. But I was helpless as I could not help them," she says. However, Anil Goel, Chairman of the AAA Insolvency Professionals, an insolvency professional entity, says many companies which have gone into liquidation should have been liquidated long back. Most of these companies have no value and many don't even have workers left. He cited many reasons why finding resolution in many cases was difficult and why a majority of them are going into liquidation - expensive process of submission of resolution plan, unrealistic valuation, lack of clarity on waiver of statutory liabilities, clash of interest among CoC members, etc. Goel pointed out that in some cases, like REI Agro and Rotomac Global (in both cases he was the resolution professional), it was difficult to find any takers because investigating agencies had attached properties of these companies. In the case of LML (where he was again the resolution professional), Goel says the product of the corporate debtor has become obsolete and there are no resolution applicants for revival. Punit Tyagi, Executive Partner at law firm Lakshmikumaran & Sridharan, says that allowing companies under liquidation to be sold off as a going concern would prevent widespread retrenchment. Mamta Binani says the amendment was probably brought fearing widespread job losses. In hindsight, keeping promoters out of the bidding process is also not helping in getting resolution in many cases. The government has partially corrected the mistake by exempting SME promoters from this rule. Cases resolved have been few and far between when compared to the number of liquidations. While a resolution means there are more chances of employees retaining their jobs, it is no guarantee that all the jobs would be saved. In the matter of Bhushan Steel, acquired by Tata Steel through the IBC process, there are reports of labour unrest in the company's Dhenkanal (Odisha), plant over fear of possible job losses. There is fear among contract labour that they may not be retained. Tata Steel has not responded to the query sent by Business Today on the issue. Another case in point is Adhunik Metaliks. While Liberty House, which acquired the company through the IBC process, has been saying that it would probably increase the manpower going forward as they try to revive the company, there is fear among workers about possible job losses. Amrita Pandey, who represented the workers of Adhunik's Orissa plant in the NCLT over non-payment of wages, said that though the new management has promised to retain 600-odd workers, there is fear that some jobs could be lost as part of the company's effort to right-size the operations. Liberty House has also acquired Amtek Auto. On the question of job loss, however, the Sanjeev Gupta-led UK-based company was not very forthright. "Amtek Auto's and Adhunik Metaliks' CIRP (corporate insolvency resolution process) started almost a year back. These businesses have been under stress for longer than that. 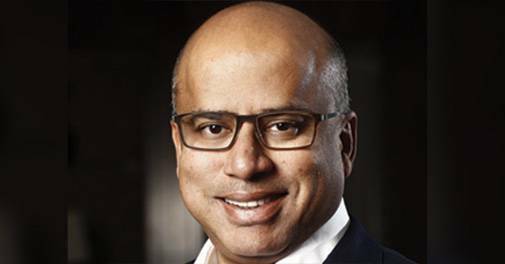 We are confident about our turnaround strategy for these businesses which will be revealed in time," Executive Chairman Sanjeev Gupta told Business Today. The threat to jobs due to the insolvency and bankruptcy proceedings is real. Failure to get resolution in many cases, whatever may be the reason, is pushing companies into liquidation and that is unsettling for employees. The only saving grace so far is that none of the big cases have so far gone into liquidation. But with prospects of resolution of the likes of Lanco Infratech and Deccan Chronicle not looking very bright, the IBC could lead to job losses, embarrassing Prime Minister Narenda Modi in the run-up to mandate 2019.